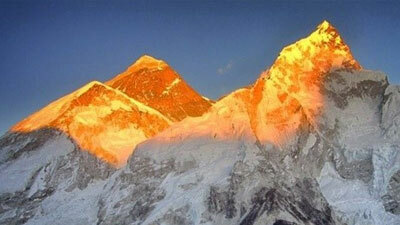 The journey to summit Yala Peak begins from Kathmandu to Syabrubesi. Trekking from there through forests, small villages, Kyanjin Gompa and exploring Tserko Ri (5,000m) before reaching the base camp of Yala Peak. 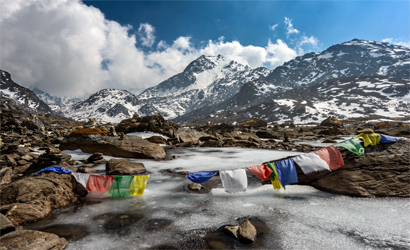 We summit the peak and head to Gosaikunda scared lake for hindu and buddhist. 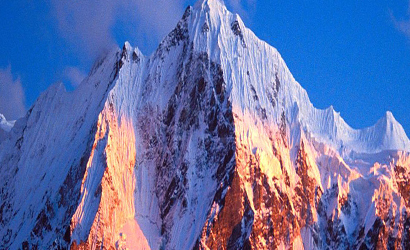 Yala Peak is a mountain in the Langtang area in Nepal. 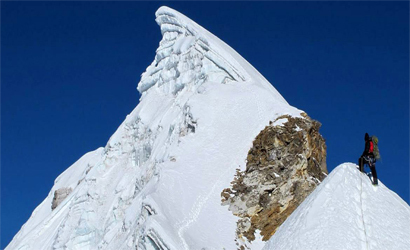 It is considered a trekking peak by the Nepal Mountaineering Association, and is a relatively simple, non-technical climb. 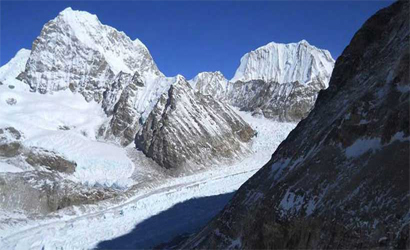 The summit is renowned for being an excellent vantage point from which Shishapangma (8013m), the highest mountain wholly in Tibet, and the lowest of the 14 eight-thousanders, can be seen. See more. The journey to summit Yala Peak begins from Kathmandu to Syabrubesi. Trekking from there through forests, small villages, Kyanjin Gompa and exploring Tserko Ri (5,000m) before reaching the base camp of Yala Peak. 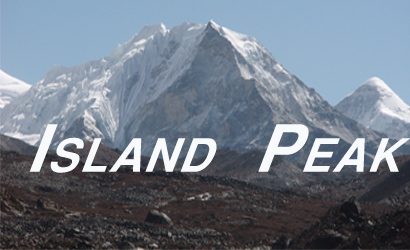 We summit the peak and head to Gosaikunda scared lake for hindu and buddhist. On our 19-day Yala Peak Climb which includes Gosainkunda and Helambu Trek, we trek in the beautiful Helambu region with its amazing landscape complete with apple trees and colorful monasteries. After leaving Gosaikunda, we cross the Laurebina Pass and trek and descend to Melamchi and drive back to Kathmandu and end our journey. We drive from Kathmandu in the morning the starting point for treks into the Langtang valley - Syabrubesi. 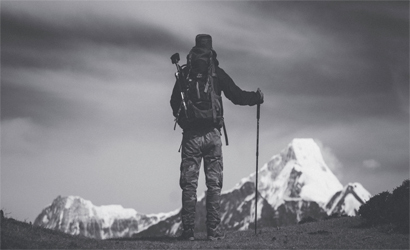 Our journey begins with outstanding views of Manaslu, Annapurna and Ganesh Himal. Trek for today ends with a descent into the small village of Syabrubesi. We spend the whole day exploring Tserko Ri which will also help us acclimatize to the high altitude. We begin early in the morning. The trail passes through yak pastures before ascending to Tserko RI. The sunrise view from the top of Tserko Ri is extraordinary. 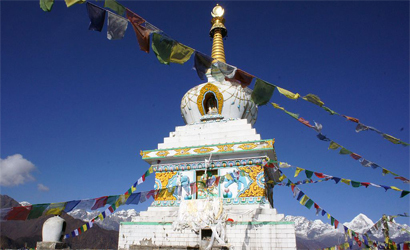 We get back to Kyangjin Gompa by late afternoon and explore the beautiful monastery while enjoying views of the Himalayas, glaciers, birds and yaks and get ready for the summit of Yala Peak. With a pleasant thought we start our trek along a rocky glacier to reach the Yala Base Camp. From the base camp we get amazing views of Ganchenpo, Naya Kang, Tserko Ri, and Yala Peak. After reaching, our team member will provide guidance of proper climbing techniques and skills to use gears. We start early in the morning for the summit with a panoramic view of the mighty Himalayas including Shishapangma, Dorje Lakpa, Ganchenpo, Naya Kang, Tserko Ri, Langtang Lirung and others. After spending some time at the summit, we head back to the base camp. 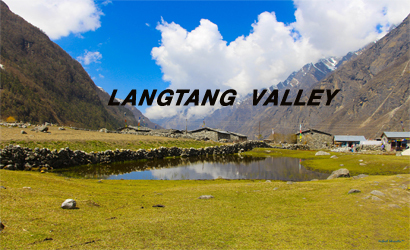 We go back over our steps to the Langtang village. Again we take a relatively familiar route, through woods and along the river valley passing Bamboo Lodge, where we join an uphill trail which will lead us to the Sherpa village of Thulo Syabru. Today will be a short walk but it is important to not reach Gosaikunda today because the steady gain in altitude will help us acclimatize better to the high altitude. After trekking for a while we pass by a chortens and a checkpoint. From the checkpoint, we move south and pass by Garta Village and Phulung Monastery before reaching Shin Gompa to spend the night. Today we get to enjoy fantastic panoramic views of the Himalayas including the Annapurnas, Hiunchuli, Manaslu, Ganesh and Langtang. We follow a ridge for the most part of the day and catch a glimpse of the first of the holy lakes. The third lake, Gosaikunda (4380m), is of particular religious and cultural significance for the Nepalese and is one of Nepal’s most sought after pilgrimage sites. The lake is surrounded by mountains on almost all sides and has a great all together of nine other lakes to accompany it. Every year during Janai Purnima in August, hundreds of Hindu pilgrims visit the lake for a holy bath. 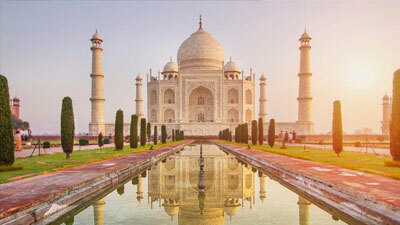 The large rock at the center of the lake is said to be the remains of a Shiva shrine. We walk uphill and downhill on a trail that passes through dense forests. Walking on a trail through the forest will take us to Thare Pati Village. We climb a ridge above the village and continue our trek. 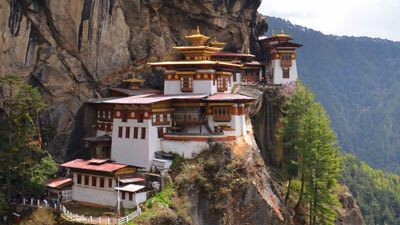 The view from the ridge of the Nepalese hills and Soli Danda in particular is beautiful. We cross two suspension bridges before reaching Melamchigaon which is a beautiful village that houses a monastery. We pass a stupa and cross a small stream below Tarkeghyang. Our trail passes through forests that lead up to Ama Yangri which is the highest point of our trek today located at 3,800m. 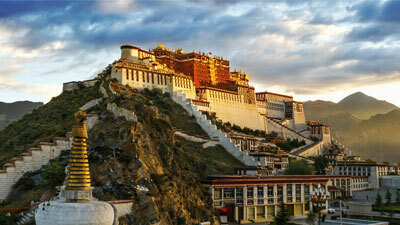 There is a stupa and Buddhist prayer flags at the top of the hill. Furthermore, we get stunning views of Mt. Shishapangma and the Langtang ranges. The mountains are so close that we feel that we can almost touch them. As we descend we can often see yaks grazing in the bushes before entering a forest. We also walk on a trail made of broken stone before reaching Tarkeghyang which is a beautiful Sherpa village.